As the name suggests, the Sea View Resort and Spa has a stunning view of the ocean, giving guests breathtaking views and glorious sunsets. 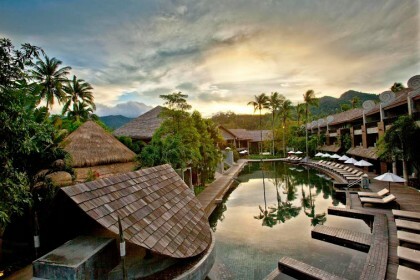 The Sea View Resort and Spa is located on the island of Ko Chang, in Thailand. Also known as ‘Elephant Island’ due to its elephant shaped headland, Ko Chang is Thailand’s second largest island and a popular tourist destination. Ko Chang is a haven for wildlife and filled with unspoiled nature, making it a beautiful and tranquil place. The Sea View Resort and Spa itself is surrounded by acres of rain forest habitat and fronted by golden sands and the azure ocean. 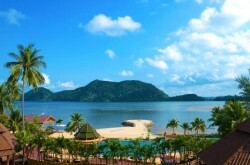 With views over the Gulf of Thailand, guests can be assured of spectacular panoramas both day and night. Ko Chang has many local attractions and tourist hot spots. The resort is keen to ensure guests have a wonderful and re-energising break and can provide guests with information or organise experiences from a variety of options. Explore the smaller islands by taking a boat trip or try your hand at fishing. The Ko Chang marine park is a wonderful experience, where guests can be taken snorkelling near the coral reefs. For a greater underwater experience, guests can go diving with experienced and trained divers, to get an up close and personal look at the vast array of marine wildlife. When visiting ‘Elephant Island’, an elephant trek is not to be missed! Jungle treks are also available as well as a treetop trail for older children and adults alike. 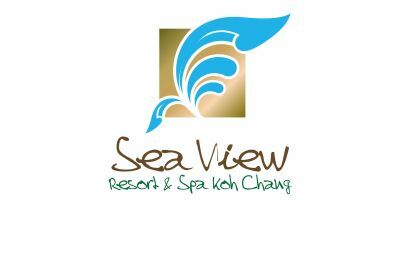 The Sea View Resort and Spa has a number of rooms available for guests. All rooms have tasteful decor and are spacious, bright and airy. Each room has a beautiful view of the ocean and comes equipped with air conditioning, wi-fi, a flat-screen television, room safe and private bathroom. To further pamper guests, the resort boasts two outdoor pools, with one sitting directly on the beachfront. For a wonderful Thai massage, guests can visit the resort’s Bay Breeze Spa. When it comes to dining, the Sea View Resort and Spa will not disappoint! Serving both Thai cuisine and a variety of international dishes, the Lighthouse Restaurant or the Sunset Beach Restaurant will ensure you never go hungry! For a relaxing drink, the resort’s bar staff will be happy to oblige. 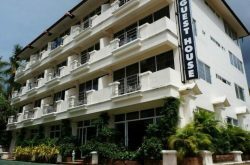 The Sea View Resort and Spa has a 24-hour desk, with friendly, helpful and efficient staff that will ensure you have a wonderful, relaxing break. © 2015 We Love Koh Chang™ The Official We Love Koh Chang Website.